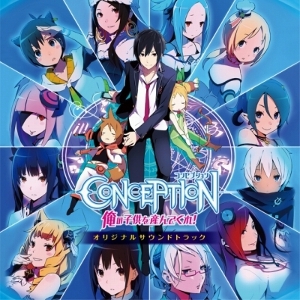 Developed and published by Spike, Conception: Please Have My Children was released exclusively in Japan on April 26, 2012 and proved a well-received best-seller for the PSP. The fantastical title is centred on a rather risqué method to ridding the world of evil. Our hero Itsuki, accompanied by a ‘Star Maiden’ must transfer ‘Star Energy’ in order to make ‘Star Children’. The ‘Star Children’ come in many sizes and classes and are battle ready when they are born. These adorable characters aid in battle and exploring dungeons. Making Star Children and fighting the offending ‘impurities’ seems to be the only way for our young hero and heroine to return home to normal school life in Japan. The soundtrack for the title was written by Masato Kouda, a veteran of series such as Monster Hunter and Wild Arms. The two disc soundtrack from Team Entertainment captures every mood that this quirky video game contains. In general, the music follows the mood of the dialogue closely, and there is plenty of dialogue. Many different genres and influences can be heard throughout the soundtrack such as jazz, funk, techno, rock, classical and a few other experimental genres that can only be equated to video game music. 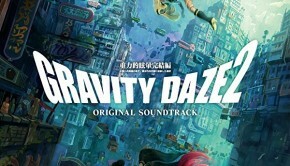 I couldn’t stop giggling during some of the tracks and at other times during the soundtrack I felt like I was in space. There were other points in the music that have a thick and malicious atmosphere. To establish thematic cohesion, melodies are repeated throughout the soundtrack and will wrap around your head. All in all, the soundtrack proves a lot of fun as a stand-alone piece and helps tell the story and add depth to characters as well as signal action, triumph and suspense. There is plenty of music to sink your teeth into. When there is not a threat of eminent danger or a dungeon battle taking place, the soundtrack has some really groovy material. “Have A Cup of Tea” and “Reception Time” on keep a light air with their hooks and beats. There are spacey tracks too that are upbeat, but in a more chill way. “Temptation” is one of those tracks, boasting an incredible saxophone solo that rivals the cutting sessions of early jazzers. The trip-hop beat and whispered voices make me feel like I need to lean back in my seat and take in the strange atmosphere. I often giggled my way through the soundtrack, recalling images from gameplay. The music paints vivid images in the listener’s head as certain instruments signal certain emotions and thoughts. The sax lick in “Secret!” for example, sounds provocative and insinuates a love scene, of sorts. Among the music to digest on the soundtrack, there are themes for each of the twelve Maidens I mentioned before. Connections can be made between the character and the music and, after listening to the soundtrack, I felt like I had learned something about each Shrine Maiden. For example, Farun’s theme is upbeat, full of fire and a little in your face; the character the music is based on is equally as upbeat and energetic, almost like a pop star. Not all of the Maidens are the same however. For example, Sue’s theme is mellow, percussive, and Eastern-influenced with it melodies based on the pentatonic scales. Sue’s theme is both mysterious and inspiring at the same time, again, much like the character. Each theme is unique from one another while sharing a pure-hearted sound that could be enjoyed out of context. 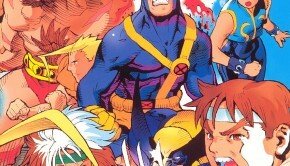 In fact, the twelve themes could serve as an excellent stand-alone album experience on their own. Another set of tracks that could be taken from this soundtrack and put onto a short compilation album is the dungeon music. Most of the dungeon music is electronic and layered with effects. There are natural sounding textures mixed well within these tracks that create a dark ambience, while the minor key melodies are spooky and make the dungeon scenes crawl with life. Given the beats are so pulsing and energetic, I especially enjoy listening to these tracks late at night. I especially enjoy the three “Dungeon Ambient (Last)” themes that bring the soundtrack towards its conclusion. When the battle music arrives, the listener is met with gritty guitar riffs and progressive style rhythms. Whereas “Lv1” and “Lv2” set the scene nicely, “Dungeon Battle Lv3” is darker and busier. 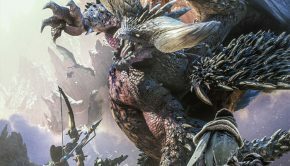 It sets the listener up nicely for “Last Battle”, which takes on a more orchestral style, mixed with electronic effects to keep things moving at a brisk tempo. In the middle of “Last Battle”, there is a frightening reprise of the opening theme that is warped in timbre as well as pitch. The church organ sound used gives the reprise melody a sinister tone that gives me goosebumps. The intensity of the battle music is sincere and increases the tension as the soundtrack progresses, only to fade to a soft, relaxing wave of synth sounds in the following piece, “Pledge”. The final track “Birth” is a dramatic tear-jerker. Serving as the soundtrack’s final statement and goodbye, it captures the welcome feeling at the end of a JRPG. The vocals of Marina are dynamic and float gently on top of the string performances. The lyrics, written by DesignWave’s Kento Hasegawa, are based on the righteous love that is found in the game and music alike. Kouda’s music is near perfect for the weird and sardonic attitude of this game. I recommend this soundtrack to RPG fans and music fans who enjoy an eclectic mix of music influenced by genres from around the world. The soundtrack brings a life to the characters giving them seemingly real emotions and subtly immerses the player into the drama, fantasy, and humour of the game. Above all, this premier Conception soundtrack is fun to listen to, just the way game music should be. Posted on September 12, 2014 by Marc Chait. Last modified on September 12, 2014.